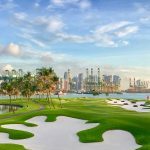 Sentosa Golf Club’s Serapong Course has been voted ‘Singapore’s Best Golf Course 2018’ at the World Golf Awards. The formal presentations were made at the La Manga Club in Spain. “Sentosa is honoured to have been recognised for its excellence, especially by the World Golf Awards,” said Andy Johnston, General Manager at Sentosa Golf Club, a Golf Course Facility Member of the Asian Golf Industry Federation. As well as launching its #KeepItGreen campaign, designed to increase awareness of golf among youngsters and highlight sustainability in golf, Sentosa Golf Club made history in 2018 by becoming the first club to stage four televised golf events in the same year. Specifically, the Serapong Course played host to this year’s SMBC Singapore Open, won by Spaniard Sergio Garcia. The tournament will return to the Serapong in 2019 (January 17-20), with Garcia defending his title and former US Ryder Cup Captain Davis Love also confirmed to attend. The stunning layout is valued by the players and attracts some of finest golfers from both the professional and amateur ranks. The original Serapong Course was designed by Ron Fream, and opened for play in 1982. A quarter of a century later, the layout was re-sculpted by Johnston. Johnston, who was with Bates Golf Design at the time, made developments to the course which resulted in new and improved configurations, comprising vast bunker complexes and faster and more challenging greens. 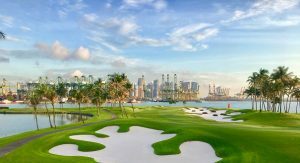 Today, its trademark contours, extended stone-lined lakes and the breathtaking Singapore harbour backdrop, make for a memorable game that is currently ranked in Golf Digest’s ‘World’s Greatest Golf Courses’.